He was known as “The Next Big Thing” in professional wrestling. Now Brock Lesnar is ready to prove he’s all that in the NFL. Lesnar, who was one of pro wrestling’s most promising prospects, shocked the grappling world earlier this year when he announced that he was chucking it all for a shot at pro football. The stunning declaration was met with disdain by some in the wrestling business who felt they had sacrificed to make Lesnar a millionaire during his relatively short time in the profession. Others dismissed his lofty plans as being merely the pipe dream of a naive 27-year-old who hadn’t played football since his senior year in 1995 at Webster High School in South Dakota. Even gridiron experts scoffed at Lesnar’s dogged determination. They dubbed him a long, long shot and speculated that Lesnar, an amateur standout in wrestling but with no college football experience, could never make such a transition and land a spot with an NFL team. The three-time WWE heavyweight champion, though, may be getting the last laugh. Lesnar already has made believers out of those who accused him of being just another media spectacle. At 11:16 a.m. Monday, Lesnar took down Larry Ned for his first tackle since 1995 at Webster High, during the first full-pad practice at the Minnesota Vikings training camp. Despite the naysayers, Lesnar’s brawn, quickness and tenacity were enough to convince the Vikings he was worth signing and bringing to training camp as a defensive tackle. “I really wouldn’t call myself a rookie. I am more like a water boy right now,” said Lesnar, who was stood up at the line and pushed down the field several times playing against the third-team offense. While it’s still a long shot that Lesnar will make the final roster, his chances are better than they were several months ago when he announced he was leaving an annual $1.5 million pro wrestling contract on the table for a shot at living his dream. Lesnar, whose only college offers for football came from Division II schools, signed a contract with the Vikings for the league minimum of $230,000, but he gets that only if he makes the final 83-man roster. Tice has been supportive but realistic regarding Lesnar’s chances of making the team. Calling him “a project, but as strong as an ox,” Tice says Lesnar is perfect for the practice squad, which would pay considerably less at around $85,000, yet would still be an incredible athletic achievement. But it hasn’t been all about money anyway, says Lesnar. It’s been about having the opportunity to pursue a lifelong dream. 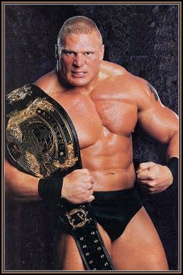 Lesnar won an NCAA heavyweight wrestling title at the University of Minnesota in 2000, one year after finishing as runner-up and two years after winning the national junior college heavyweight title at Bismarck (N.D.) College. He beat The Rock in 2002, only two years after turning pro, to become the youngest WWE champ ever at the age of 26. He followed that up by defeating former Olympic gold medal winner Kurt Angle twice for the title in 2003. But the money, glamour and perks as a professional wrestler just weren’t bringing him happiness, with Lesnar lamenting that there was no difference between being a poor dairy farmer and a millionaire. Earlier this year he confided to friends and colleagues that the wrestling business had taken a heavy toll on him. Likely looking at many of his fellow performers and taking note of their injury-riddled bodies, he said he wanted to be able to walk when he was 40. He found the travel schedule to be grueling and even spent $400,000 on his own eight-seat, twin-engine plane to ease the burden. More importantly, he wanted to be closer to home, back in Minnesota with his 2-year-old daughter. “It really boils down to money doesn’t mean jack to me at all. It is just about being happy,” Lesnar told a Minneapolis radio station. “Life on the road to me wasn’t fun anymore. I wasn’t getting to watch my daughter grow up at all, and every time that I came home she was doing something new.” Lesnar asked for his release from WWE in April, walking away from a guaranteed salary of $1.5 million per year. He then went to Tempe, Ariz., where he spent nearly three months in an elite athletic performance program designed to prepare him for football. According to a performance specialist, the freakishly strong Lesnar bench-pressed 475 pounds, did a 695-pound squat and ran a 4.65 40-yard dash in April. The original plan was to have a number of NFL teams watch Lesnar work out in Tempe. That changed when he was injured in a motorcycle mishap in which he suffered a groin injury as well as a broken jaw and left hand. The Vikings were the only NFL team to work him out, which was fine since Lesnar started for the Gophers wrestling team in 1999-2000 and now lives in a spacious home on 47 acres in Independence, Minn. Eight teams rejected Lesnar immediately because of his lack of experience. Although the injury hampered him during his June workout, Lesnar was still able to run a 40-yard dash in 4.75 seconds. Tice admitted he was leaning toward signing Lesnar after that workout, but he wanted another look, just to be sure. After four more weeks to rest the groin, Lesnar was at full strength at the Vikings’ training camp. A one-year agreement came together soon after he was put through a rigorous 45-minute workout designed to test the injury. Lesnar has a number of things going for him. He’s a world-class athlete, extremely agile and quick for a man his size (6-3, 290 pounds, with a 56-inch chest, 34-inch waist, 21-inch biceps, 20-inch neck and nine percent body fat). Like in pro wrestling, line play in the NFL is about leverage and overpowering your opponent, which works in the rookie’s favor. Moreover he’s got passion and a tenacious work ethic. He starts practice two hours early. He stays late. He’s pulling down a training camp stipend of $750 a week. Lesnar, who was accompanied to his first day of training camp by fiancée and WWE diva Rena “Sable” Mero, has been practicing at the same tackle position occupied by Chris Hovan, an avid wrestling fan who has been friends with Lesnar for several years and is rooming with him at camp. 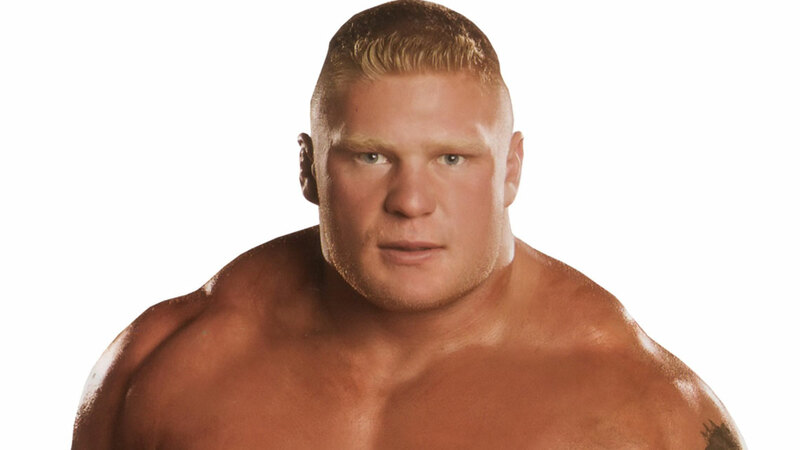 Some NFL experts feel that Lesnar has a legitimate shot at playing special teams this season, but would need a couple years experience to play the line. – Former WWE performer Sean O’Haire recently was charged with simple assault and battery against two women stemming from an incident at a Hilton Head nightclub in June. An arrest warrant states that O’Haire, whose real name is Sean Haire, punched Ivy Rowland and Deidre Clancy at Club Hypnotic on June 12. O’Haire also is accused of kicking Clancy while she lay on the floor. According to the warrant, the victim sustained trauma to her head and back necessitating emergency room treatment and follow-up care. The 6-4, 270-pound O’Haire, 33, claims the women attacked him. “I flicked her hat off,” O’Haire said. O’Haire, a Hilton Head resident, said three men, whom he also didn’t know, started swinging at him. The women hit him in the face, split his lip and tore his shirt, he said. O’Haire added that he was surprised when the women swore out a warrant for his arrest. O’Haire, who was released from WWE in June, is training for full-contact shoot fighting. His next fight is scheduled for Sept. 18 in Los Angeles. – “Gentleman” Ken Timbs, who achieved his greatest success in Mexico as EMLL world light heavyweight champ Fabuloso Blonde, passed away last weekend at the age of 53 after a year-long battle with cardiomyopathy and congestive heart failure. Timbs began his career in 1978 as an enhancement talent for booker Ole Anderson’s Georgia Championship Wrestling. Timbs left for the Carolinas when Anderson took over as head booker for Mid-Atlantic Wrestling. Anderson last week recalled his first encounter with Timbs, who had been a police officer and a security guard for wrestling shows in Georgia. Timbs later formed top teams with Eric Embry as The Fabulous Blonds in Southwest Championship Wrestling and with Dusty Wolfe as The Hollywood Blonds in Memphis, Florida and the Central States. Timbs earned his greatest recognition in Mexico in the late ’80s where he was billed as Fabuloso Blonde. Timbs won the EMLL world light heavyweight title on June 24, 1988, by defeating Lizmark. Timbs later won the Guatemalan heavyweight title. – Karl Stern puts out the fine, history-based DragonKing Press wrestling newsletter. A recent issue dealt with “one of the greatest wrestlers you probably never heard of – Nat Pendleton,” who had a legitimate shoot with one of the most feared hookers of his era, along with a story on wrestling legend Frank Gotch. Check out the Web sites at www.dragonkingwrestling.com or www.karlstern.com for special subscription rates. – After a number of years of bad blood, there appears to be a truce between Bruno Sammartino and Vince McMahon. Sammartino reportedly is being courted by the company to be part of its new 24/7 video-on-demand service, as well as a possible DVD and autobiography. WWE has made overtures in the past about inducting Sammartino, who headlined Madison Square Garden more than 130 times, into its hall of fame. Sammartino, one of the biggest stars in the history of the then-World Wide Wrestling Federation, has expressed little interest. Sammartino was one of the company’s most vocal detractors during the ’90s when he went public with allegations of rampant steroid abuse and sexual improprieties in the company. Sammartino was backstage prior to a recent Raw show in Pittsburgh where he and his attorney met with WWE officials, including McMahon, and company lawyers. Sammartino also shook hands with a number of WWE stars at the venue. One performer he didn’t shake hands with was Ric Flair. Although Sammartino has told friends Flair avoided him in the locker room, Flair says that wasn’t the case and that he was the one snubbed by Sammartino. Sammartino, who held the company’s world title for a seven-year stretch during the ’60s and ’70s, has blasted Flair over comments made in “To Be The Man.” In his book Flair claims Sammartino wasn’t the level of worker in the ring as former NWA world champs Dory Funk Jr., Harley Race and Jack Brisco. Flair also claims Sammartino snubbed Evolution cohort Triple H (Paul Levesque). Other sources claim Sammartino was at ringside shooting an interview with a local Pittsburgh TV crew and was surrounded by a number of WWE performers once the cameras weren’t on. Triple H reportedly was among the admirers. – Shawn Michaels is expected to return to WWE shortly after Summer Slam to resume his feud with Kane. The company gave Michaels the summer off to be with his wife as she prepared to give birth to their second child. – John Heidenreich, who is scheduled to feud with The Undertaker following Summer Slam, appears to be fitting into the “not quite ready for prime time” category that has befallen other potential Taker foes such as Nathan Jones, Matt Morgan and Mordecai (Kevin Fertig). – WWE made a smart move by naming Teddy Long as general manager of Smackdown. The show and the brand desperately need a lift, and Long is one of the best talkers in the business. – Shane “Hurricane” Helms broke his nose during a match last week with Chuck Palumbo. – Paul Bearer (William Moody) has dropped nearly 200 pounds since undergoing gastric surgery last November. – One of the most classic rivalries in the history of the business was The Rock and Roll Express (Ricky Morton and Robert Gibson) vs. The Midnight Express (Bobby Eaton and Dennis Condrey) managed by Jim Cornette. The two teams will meet for the first time in 17 years at a legends show Oct. 23 in at the Indiana State Fairgrounds in Indianapolis.